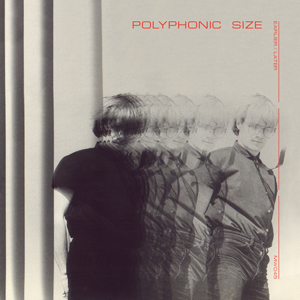 Minimal Wave is proud to present a full length LP of selections by prolific Belgian synthpop group Polyphonic Size. Headed by Roger-Marc Vande Voorde, Polyphonic Size formed in 1979 and went on to become quite successful in the Belgian New Wave scene. They released quite a few albums, and collaborated with Jean-Jacques Burnel, who produced their second single, Nagasaki Mon Amour. This first musical collaboration was followed by many others, including an outrageous and robotic cover of the Rolling Stones’ classic, Mother’s Little Helper. After several line-up changes, the band finally consisted of Roger-Marc Vande Voorde, Kloot Per W, Martine Bourlée and France Lhermitte. Dominique Buxin wrote nearly all the lyrics, but never appeared live on stage or on any record sleeve. Although Polyphonic Size and JJ Burnel were very close to each other, the band always kept its own personality, which was less dark and more European than The Stranglers. On April 3, 1981, Polyphonic Size gave their very first concert at the First Belgian Rhythm Box Contest, in Brussels. The Earlier / Later LP are remastered selections, curated mainly from Polyphonic Size’s early output as a band, from when they formed in 1978 to when they began working with JJ Burnel in 1980. The tracks on side A represent their early period were recorded between 1978-1980 and the side B tracks, recorded between 1980-1982, are representative of how their sound evolved whilst working with a producer. The LP is on transparent red 180 gram vinyl, housed in a heavy printed sleeve with text overlay printed on a clear vinyl outer sleeve, and limited to 999 hand-numbered copies. Release date: July 9th. Purchase here, $23. The Actor caught the attention of cult cassette label Trumpett through their powerful live act and were signed to the label in April 1982. Their first, self-produced album was released in September 1982 as ‘Exploded View’ (an exploded view of a cassette tape was featured on the sleeve): Ten quite simply arranged synthpop tracks that were dynamic and danceable, with lyrics sung both in English and German, relating to the modern world, fashion, dancing, fame, appearance and self-image. The edition of 400 copies sold out within six months. 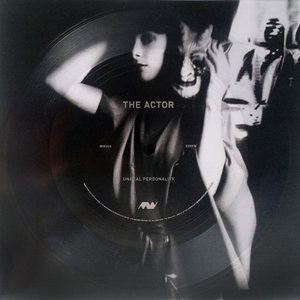 The track featured on this flexi-disc, ‘Unreal Personality’, is the opening track of ‘Exploded View’ and the archetypical The Actor song, with lyrics directly referring to the band’s name. The song was recorded during the summer of 1982. The music and lyrics were written by Marcel Reimer. The song was played and produced by Marcel Reimer and Sander Horsthuis. The equipment they used was the Korg MS-20, Crumar Performer, Casio VL-Tone, and Soundmaster SR-88 drum machine. It has been remastered from its original analog source tape for best possible sound reproduction. Flexi printed on clear flexible vinyl with silver embossed ink, edition of 999 hand-numbered copies accompanied by matte printed postcard of “August 1975” by Jennifer Griffiths. Purchase here, $7. Out now on our sublabel Cititrax, a white vinyl 12″ of five remixes of songs from The KVB’s Immaterial Visions LP. As described by Boomkat, “each unit appears to relish the opportunity, altering the original’s chemical make-up into dark, rolling, contemporary wave aces. Regis really impresses with a swaggering revision of ‘Dayzed’ reinforcing the hip-slung bass and galvanizing the snares to reserved, shark-eyed and gripping effect. With ‘I Only See The Lights’ Shifted give one of the best cuts in his arsenal, strongly recalling the adamantium skeleton of Regis’ remix for Ike Yard with its rolling bass and gasping vocal stabs. After a spate of techno issues, Juan Mendez aka Silent Servant returns to the styles of his immense ‘Negative Fascination’ LP and work for Tropic Of Cancer with a lean, uptempo cold wave steppers mix of ‘Pray To The Light Machine’, and In Aeternam Vale do untoward EBM triplet things with ‘Lines’. The most curious cut comes from the mysterious Worn, who’ve only appeared once to date on an Avian mix and here drag ‘Old Life’ backwards through New beat style throbs and petrifying synth noise. Highly recommended!”. 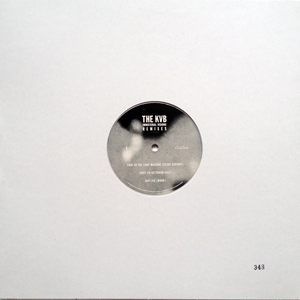 Limited edition of 999 copies pressed on 160 gram white vinyl and housed in a number-stamped white sleeve. Purchase here, $16. 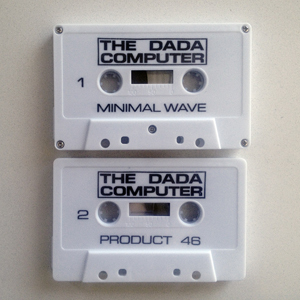 Out now, a limited edition reissue of one of our favorite cassettes, The Dadacomputer. The Dadacomputer was the first incarnation of what would later become Five Times Of Dust. It was the result of a collaboration between Robert Lawrence and Mark Phillips who came together during the summer of 1981 living between Bristol and Cardiff, UK. They collaborated by sending tapes back and forth through the mail and also worked together in their respective home studios. Later that year, they self-released The Dadacomputer on both MAP tapes and Quick Stab. Roughly 100 copies were made in total and soon sold out. We discovered the tape a few years back with great excitement and favored one track in particular, Computer Bank. Soon after we tracked down Robert Lawrence and licensed it for The Hidden Tapes compilation. The track was an instant hit, both at home and on the dance floor. The limited cassette run of The Dadacomputer is out now and is essentially an introduction to the world of Five Times Of Dust. A double LP of selections from the vast Five Times Of Dust archives (over 15 hours of recordings) will soon follow, slated for release in later this year. Purchase the cassette here, $10. 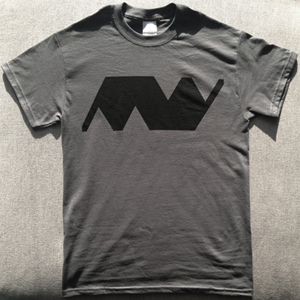 Minimal Wave logo silkscreened on a 100% cotton t-shirt, available in Charcoal Grey with black logo or Black with white logo. Limited edition run. Purchase here, $20. Stream the Minimal Wave radio show on East Village Radio live every Sunday from 6-8PM ET, or listen to the archives anytime with EVR’s player. 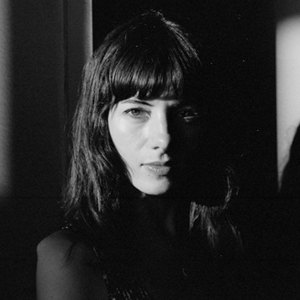 Also check Veronica’s recent visit to Tim Sweeney’s Beats In Space radio show on June 11th, here.